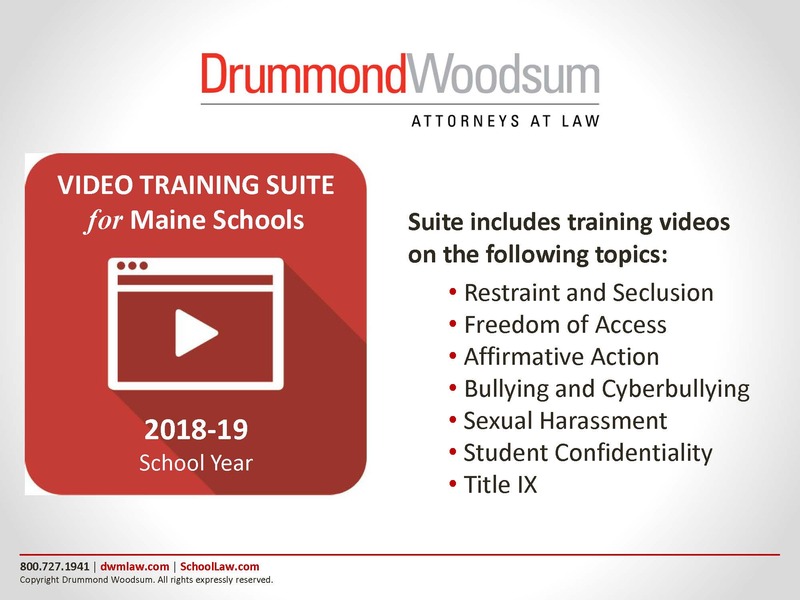 With the purchase of the Maine Staff Training Video Suite, you will be able to provide your staff the required training that they need when it works for you. 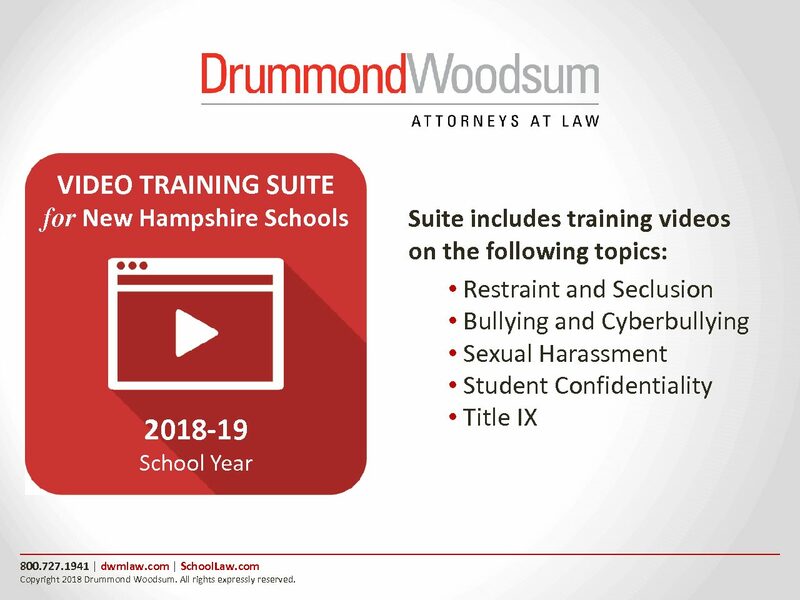 With the purchase of the New Hampshire Staff Training Video Suite, you will be able to provide your staff the required training that they need when it works for you. 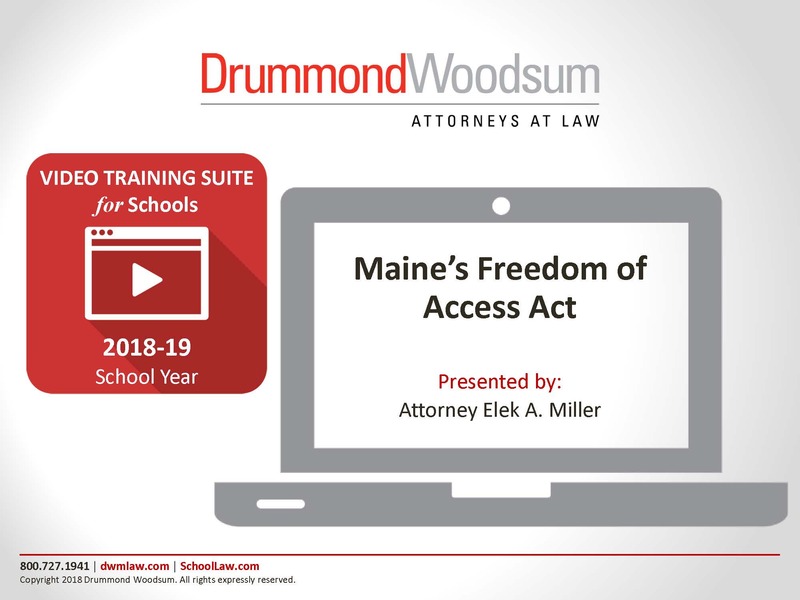 With the purchase of the Maine Freedom of Access Act Staff Training Video, you can offer your staff the training that they need in a convenient and affordable way. With the purchase of the Maine Affirmative Action Staff Training Video, you can offer your staff the training that they need in a convenient and affordable way. With the purchase of the Maine Student Confidentiality Staff Training Video, you can offer your staff the training that they need in a convenient and affordable way. With the purchase of the Maine Sexual Harassment Staff Training Video, you can offer your staff the training that they need in a convenient and affordable way. With the purchase of the Maine Bullying and Cyberbullying Staff Training Video, you can offer your staff the training that they need in a convenient and affordable way. With the purchase of the Maine Title IX Staff Training Video, you can offer your staff the training that they need in a convenient and affordable way. With the purchase of the Maine Restraint and Seclusion Staff Training Video, you can offer your staff the training that they need in a convenient and affordable way.